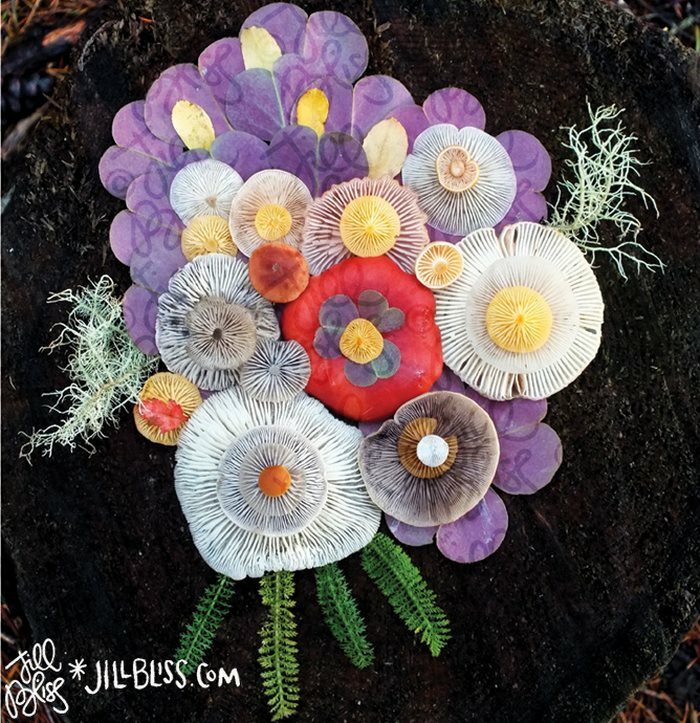 Jill Bliss is an artist (and naturalist, educator, farmhand, caretaker, and deckhand) who lives on a small island in the Salish Sea in the Pacific Northwest. 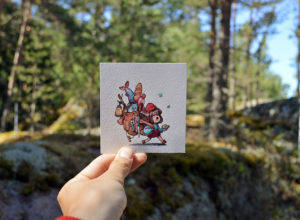 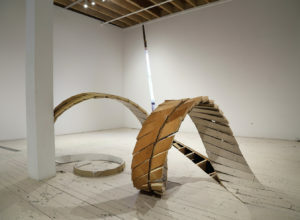 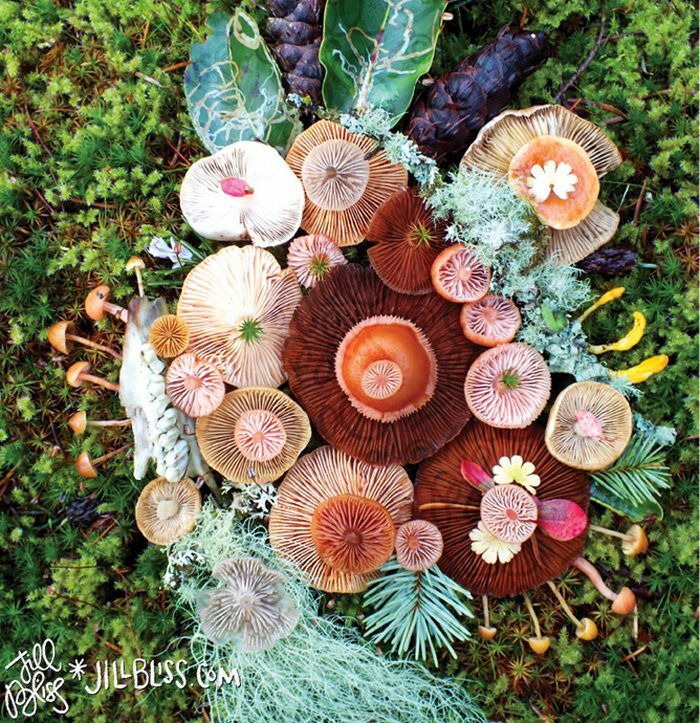 In 2012 she sold her house and nearly everything she owned to move to the island and reconnect with nature after a busy career as a designer in New York and San Francisco. 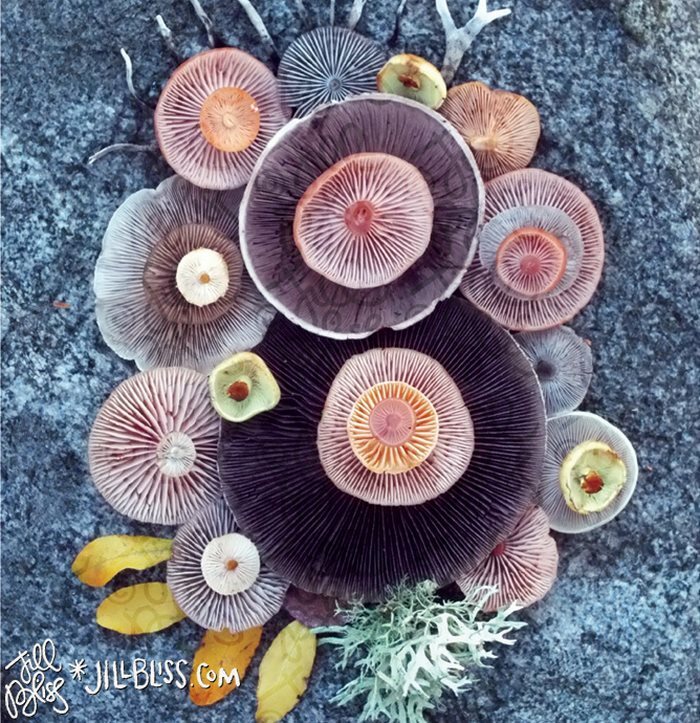 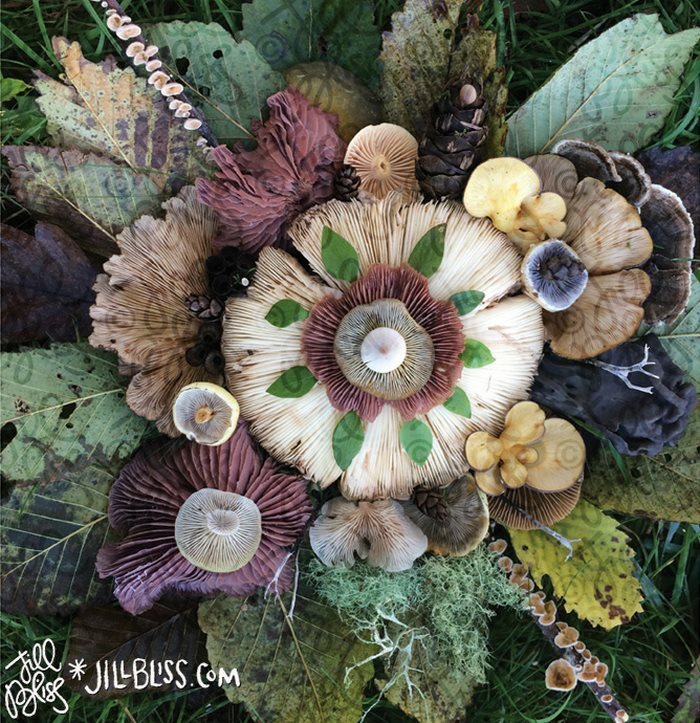 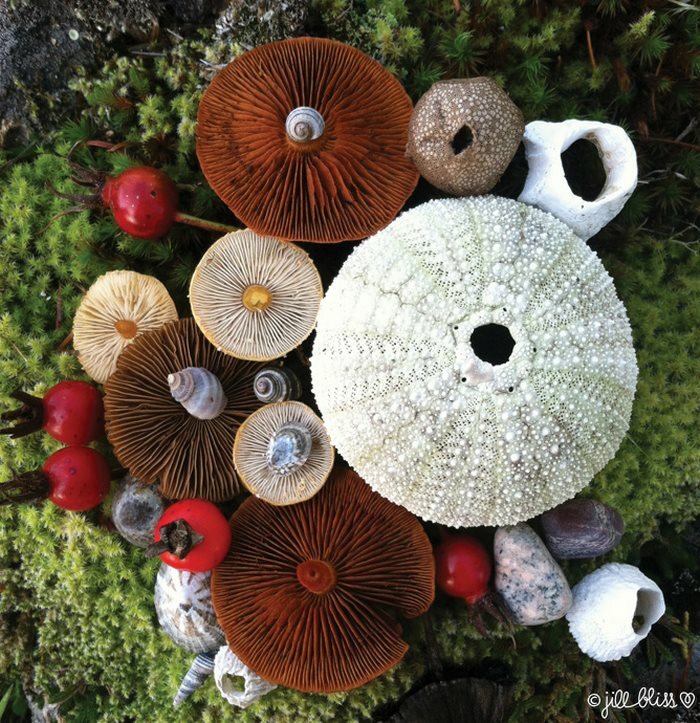 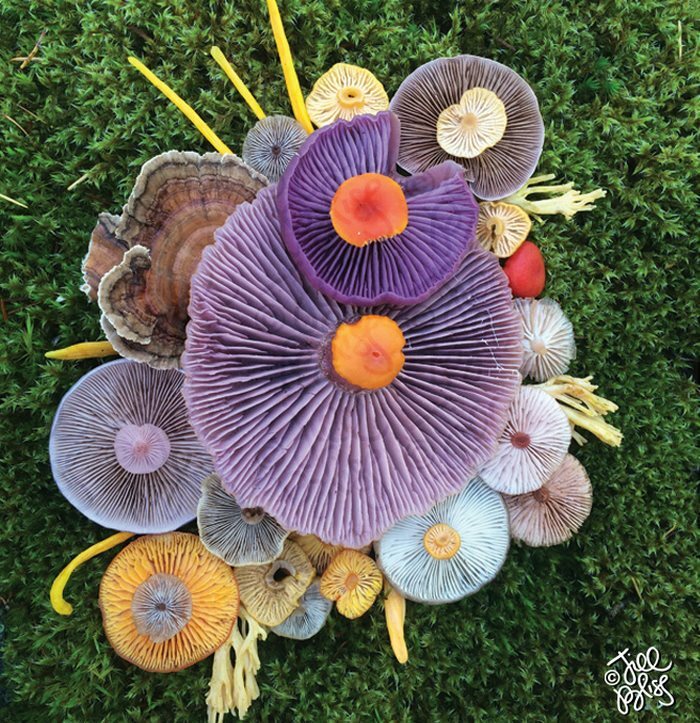 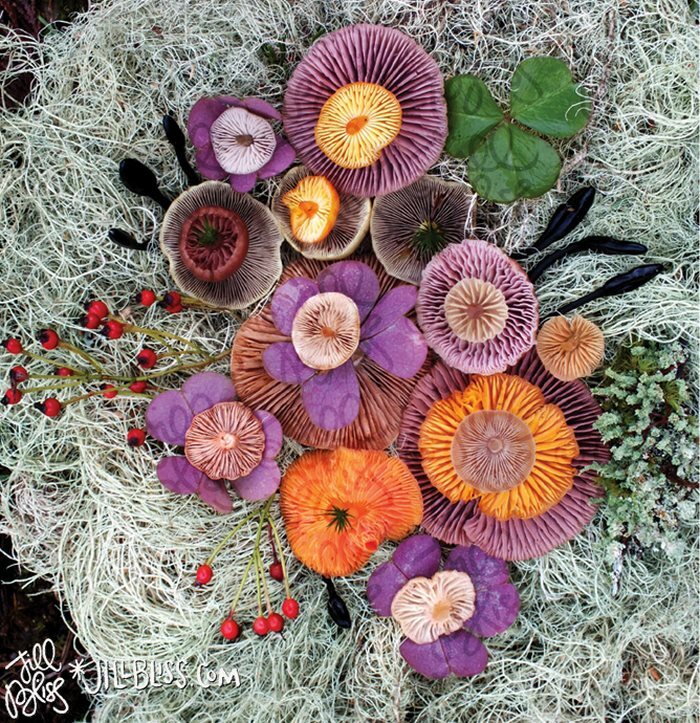 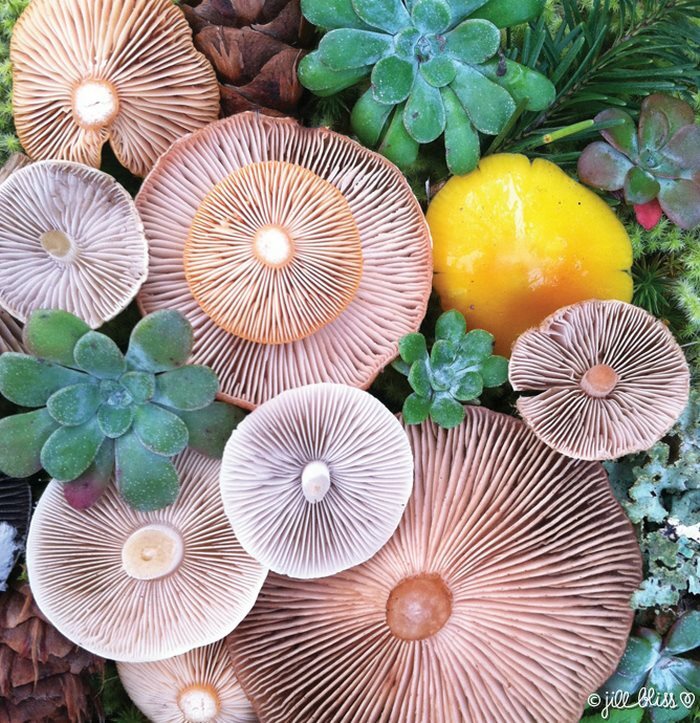 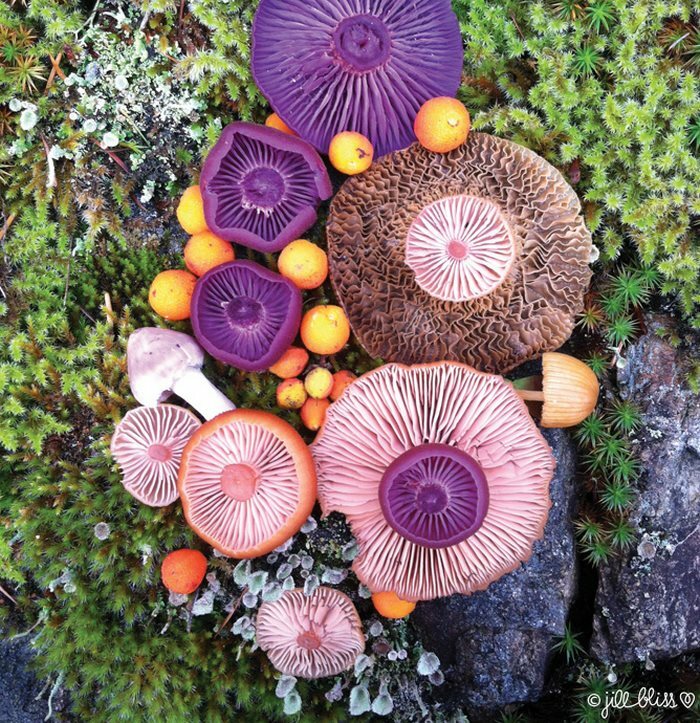 Using a wide assortment of the beautifully vibrant wild fungi she finds, Bliss turns them into stunning arrangements and photographs them for a project she calls Nature Medleys. 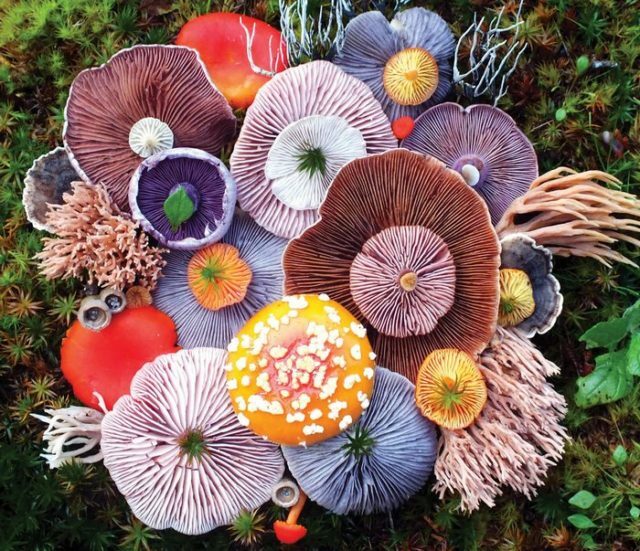 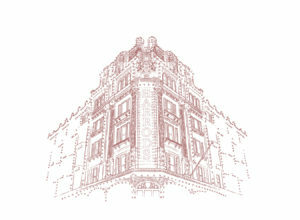 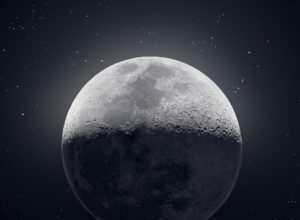 See below for a collection of some of our favorites.